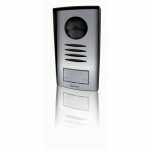 the wall, using a provided wall mounting bracket. A small power supply connects to standard 120VAC/60Hz. 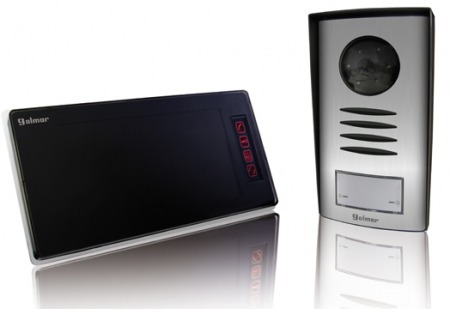 electrical power, and provides power for the electronic chime, video monitor/camera and intercom.The video monitor features a large crystal clear 7.0″ (measured diagonally) flat screen Color video screen, electronic chime signaling, and a door release touch switch. 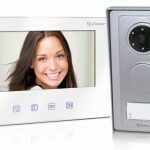 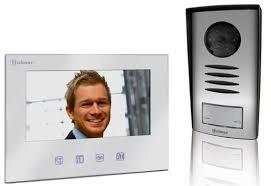 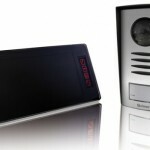 The monitor also feature a front-mounted ‘ON’ button to turn the monitor on without being called from an entrance panel/door station.The compact door camera/intercom station is fully surface mounted and includes a built-in Color camera, infrared illuminators, and a momentary chime call button. 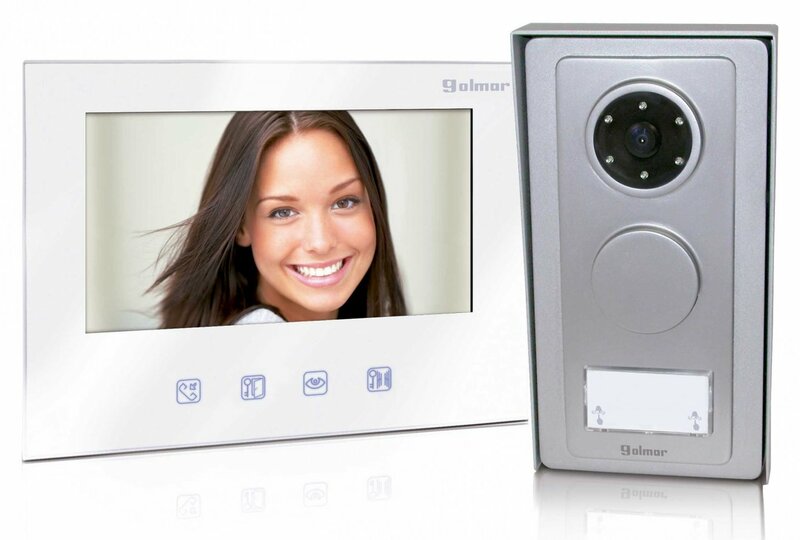 Door station features a natural anodized aluminum faceplate.The Alpha Communications®/Golmar™ SV-1370%20SII video-intercom kits are perfect for replacing an existing 2-wire doorbell or doorchime installation, using the existing wiring.